There is a systemic problem with our society losing living-wage unskilled labor opportunities. Some shout that corporations send these jobs over-seas. Wrong. Hardliners demonize illegal immigrants because, they take away these opportunities. Nope. So, why are the candidates not sharing the real reason we're losing jobs in America? It's complicated. Read along to find out. There have been numerous studies on the "Singularity" of computing power, and this year the discussion will likely grow louder as we begin to see early examples of it taking off. This post explores how exponential technologies coupled with slipping education standards are creating a labor-income gap, and what we can do to address it. This post is also Part 2 of my A.I. Stepping into Life Series, where I'll share thoughts on how the progress of computing is likely to impact human labor, the economy, and possibly life as we know it. So what is Mr. McAfee getting at? To put it simply, Bill & Ted are no longer having an "excellent adventure". While Ted maintains a middle-class life, Bill's life is falling apart! Furthermore, his opportunities for unskilled labor will only continue to decrease. Why is this happening to Bill? Off-shoring? Illegals? Nope. It's due in-part to Bill's education and in-part to technological advancement. Remember dial-up internet in 1996? 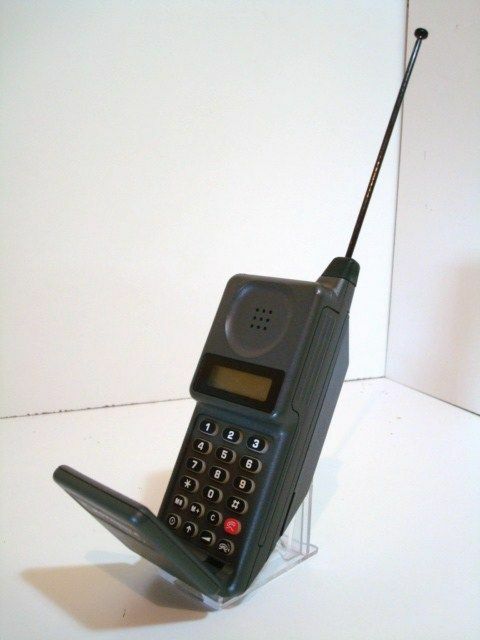 What about cell phones so bulky they didn't fit in your pocket? Technology has progressed at incredible pace over the last 20 years. In fact that pace will only speed up. For Bill, keeping up, let alone hanging on may be more difficult than you think! While Bill's parents yelled at teachers because he was failing tests, his teachers yelled at the school board because they didn't have resources to teach. The school board in turn yelled at politicians to ease standards, and Bill slid through the cracks. This year marks the end of an era where humans need to be "masters" over every aspect of computational learning. 2016 is also the inaugural year of a climb to what will likely be an economic tipping point. Due in-part, to a convergence of exponential technologies (autonomous vehicles, robotics, etc). Professor Robert L. Routhieaux once shared this advice with me; a good manager thinks in one/two year increments, and a good CEO thinks in five/ten year increments. So here's my challenge to you: as recruiters, managers, and executives, how might you address this issue? What would you do with a larger labor market? In what way is your business ripe for disruption? In what ways could your workforce become "shepherds" of new technologies? We're just getting started folks. In my upcoming post, I'll discuss this breaking point further along with the next stage of the new machine age. We'll also dive deeper into the value of becoming a student now, so you can teach others to race with machines later.